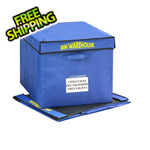 The Bin Warehouse 12 Tote Storage System is the perfect way to store and organize our 32 Gallon Fold-A-Totes or any tote that you may already have, or want to purchase in the future. 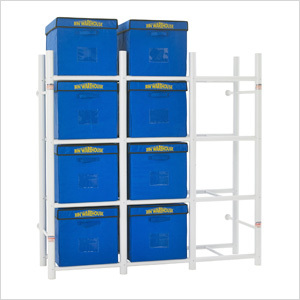 This system allows the totes to slide in and out with ease, and provides access to any tote independently. 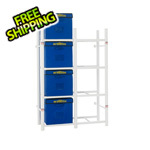 Bin Warehouse Systems are constructed of sturdy PVC tubing and comes complete with wall mounting hardware.